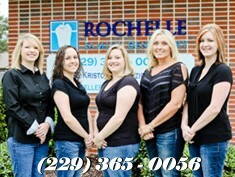 We accept ALL types of insurance and file it for our patients as a courtesy. We are also in network as a PPO preferred provider with the listed insurance companies below. For additional questions regarding insurance, please contact us directly and we'd be more than happy to answer your questions. Call us anytime at (229) 365-0056. We offer affordable financing options through Care Credit so you can get the dental procedures you need now at a low monthly payment with no upfront costs and no pre-payment penalty so you can show off those pearly whites as soon as you are ready! 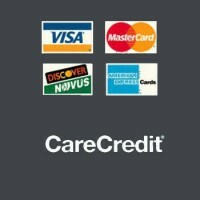 We also accept all major credit cards to provide you with several options to get the smile that you deserve! Below you will find four new patient documents that you will need to complete and bring with you to your first appointment. You can click on the form and open it with Adobe Reader and print it directly to your printer. If you do not have Adobe Reader you can download a copy by Clicking Here. Please fill these out before arriving to your appointment so that we may start your appointment on time.